Excerpt from A Sportsman at Large<br><br>So kind and indulgent were the Press and the public in their reception of "Chasing and Racing," wherein I set down my experiences in the hunting-field and on the turf, that I have been emboldened to submit yet another venture to their good graces. 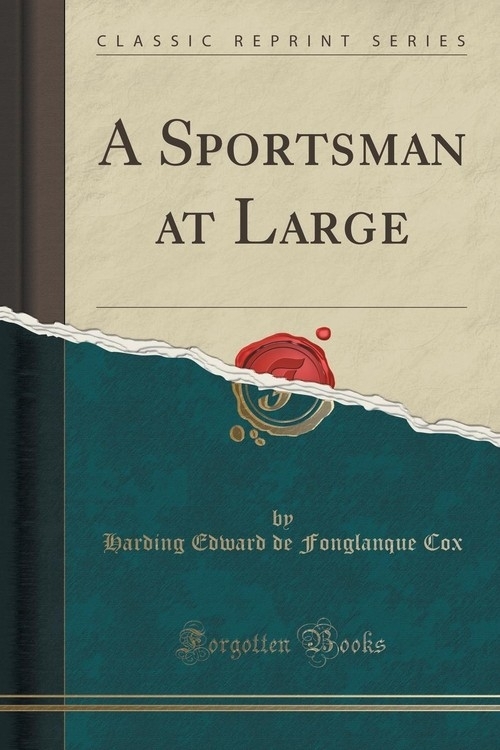 "A Sportsman at Large" may well be described as a companion volume to the one mentioned. Those who have had the hardihood to wade through "Chasing and Racing," or even to dip into its discursive pages, will, no doubt, wonder how it came about that I was able to indulge in shooting, fishing, coursing, etc., when I was so busy with hounds and racehorses. The fact is, that my sporting life has been divided into well-defined eras. It is true that some of these have overlapped, and that, at times, hounds, hunters, racehorses, greyhounds, show and sporting dogs, guns, fishing-rods and hunting-horns have become inextricably mixed; but one or two particular pursuits have always dominated the rest.<br><br>In my childhoods and adolescent days I had but little to do with the equine element and all it portends and provides; but I was busy with rod and gun all the time. So when a cruel Fate made hunting and racing quite impossible for my finances to deal with, I fell back again upon the latter implements of slaughter. Hence the present book shows, in medias res, a hiatus in its chronological sequence, the gap being that period in which I was master of the M. and H. V. H., and, later, of the O. B. H., and when I was owning, training and riding my own horses under J. C. and N. H. Rules; although I did manage occasionally to put in a little desultory practice with rod and gun during that time.<br><br>About the Publisher<br><br>Forgotten Books publishes hundreds of thousands of rare and classic books. Find more at www.forgottenbooks.com<br><br>This book is a reproduction of an important historical work. Forgotten Books uses state-of-the-art technology to digitally reconstruct the work, preserving the original format whilst repairing imperfections present in the aged copy. In rare cases, an imperfection in the original, such as a blemish or missing page, may be replicated in our edition. We do, however, repair the vast majority of imperfections successfully; any imperfections that remain are intentionally left to preserve the state of such historical works.